Have you ever thought about making a difference? Have you ever wondered what it would be like start a movement or how it would feel to know you did something worthwhile maybe even spectacular? Did you ever think about what it would be like to point at something: a moment in time, when you moved out of your comfort zone, abandoned your safety net in order to make a difference and the difference you made actually made a difference? I’d like to offer you just such an opportunity: an opportunity to get the economy jumpstarted and moving in the right direction. Realistically, you won’t have to do very much at all. In fact, this may be one of those rarest of all opportunities where lots of people doing something seemingly very small can have a huge impact, a disproportionate impact, on all of our tomorrows. All you have to do is pause for a moment when you’re about to purchase something and then make your First Choice… the choice to buy something made here: something Made in America! I know… Finding stuff that’s actually made here can be difficult: almost impossible at times! But, the reality we share is irrefutable. We are all a part of the Global Economy even if participation is not a matter of our own choosing. The good news is that after decades of watching helplessly as American manufacturing capacity moved offshore across both oceans it would appear that trend is beginning to reverse itself. I’m not sure the number of manufacturing jobs returning home or even the number of companies that have chosen to continue manufacturing here would constitute a Renaissance of American manufacturing quite yet, but it’s certainly a move in the right direction! And, that’s where you and I come in. We have the opportunity to play a critical role as this drama unfolds. You see even if all we do is ask for American made products, that simple request creates a perception of demand far greater than that simple question might imply. It says there is an interest, possibly even a desire for products made here. It suggests a market may exist: a market and an opportunity for profit. And, the one thing we can be sure of is that given the opportunity entrepreneurs and owners, investors and true capitalists, will never miss a chance to turn a profit! So, that’s it: all you have to do! 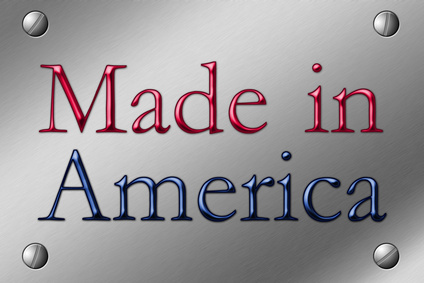 Just ask if whatever it is you’re looking for, whatever it is you’d like to buy, is made here: Made in America. And, if it is and it makes sense to you… dollars and sense, then go ahead and buy it! That extra “T-shirt” or hat, those jeans or that water pump, the computer monitor, printer or copier, may be all it takes to hire another CNC machine operator, truck driver or warehouseman. It could be the difference between keeping the factory open a second shift or closing it down altogether! That’s how much power you have if you make your First Choice… to Buy American! That’s how much power you have if we can all get behind this idea of priming the American manufacturing pump with our inquiries and our purchases. And, if you do it here at our shop, Schneider’s Automotive – we’ll put our money where our confidence is and extend the warranty on those “Made in the USA” parts an additional 12 months and 12,000 miles! So, go ahead and make a difference!